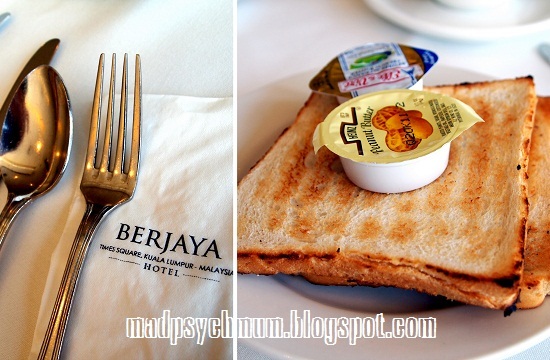 We woke up at 8.30am for breakfast at the hotel, which was included in our package..
..before heading out to our first destination, Petronas Twin Towers and Suria KLCC Mall located at Kuala Lumpur City Centre. 3) Take the monorail from Imbi Station to Hang Tuah Station, then walk to the Hang Tuah Station on the Ampang Line (yellow) and take the LRT to Masjid Jamek Station. Once there, walk across the street to the Masjid Jamek Station on the Kelana Jaya Line (green) and take the LRT to KLCC Station. We decided to go with option 3, which was the cheapest mode of transportation (approximately RM2 per trip per person) but was also the most confusing! 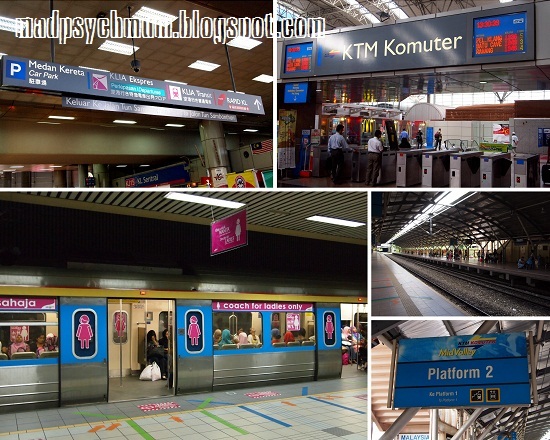 Unlike Singapore, Hong Kong and Taipei, the train lines in KL are not integrated, which meant that you have to exit a station on one line before entering an adjacent station (of the same name) on another line (this may also mean that you might have to buy a ticket each time you transfer to another train!). This is the same card that we use to pay for toll charges at the checkpoints between Singapore and Malaysia and is very useful as it allows us easy access to most of the main lines such as the KL Monorail (purple) and Kelana Jaya Line (green). Just tap to enter and tap to exit! We arrived at KLCC wanting to explore the Petronas Twin Towers, only to discover that the Towers were not opened to the public until December. We were really disappointed! We had little else to do but to shop at the mall. Family photos kindly taken by a Caucasian gentleman who gamely sat on the floor to get the perfect shot! We decided to head on to our next destination, Mid Valley Megamall, for our lunch and more shopping! Once again, you may choose to take a cab but we decided to do what the locals do and take the LRT from KLCC Station to KL Sentral Station, transfer to the KTM Komuter heading towards Seremban and alight at MidValley Station. 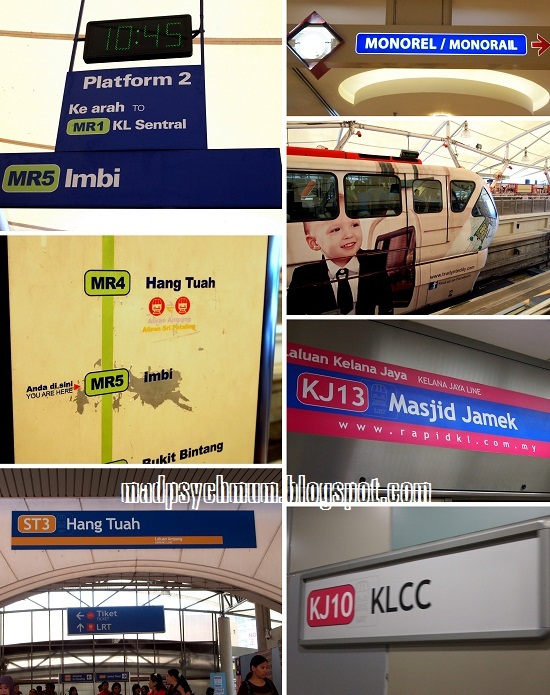 The KTM Komuter is interesting as it has cabins specially allocated for women! However, the intervals between each train is a staggering 30 minutes long, so my advice is to check the train timings beforehand and only enter the station 5-10 minutes before the train arrives so as to avoid waiting at the stuffy platform area. Needless to say, after all the waiting and squeezing onto the train, we were totally famished by the time we arrived at Mid Valley! After scouring the huge complex, the hubby finally decided to settle at La Manila cafe located at the 3rd floor for our lunch. 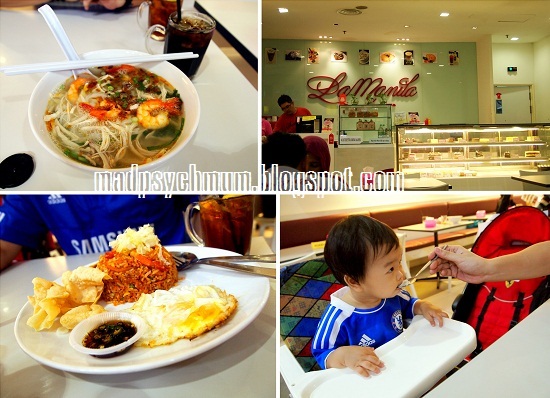 Baby girl and I shared a Ipoh Hor Fun soup while the hubby had fried rice. Both turned out to be great choices as all of us slurped down our meal in a jiffy. 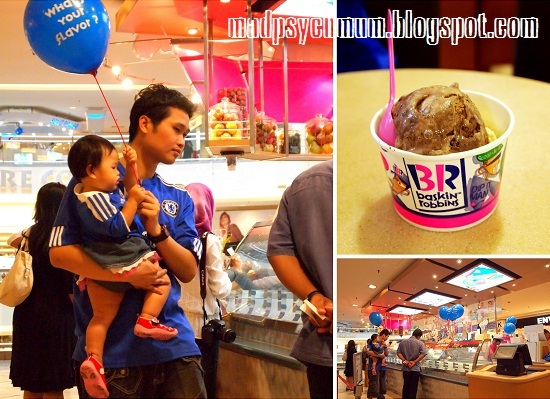 Feeling like our meal wasn't complete without dessert, we decided to have ice-cream at none other than Baskin Robbins! Our bodies were aching like crazy by the time we were done shopping at this gigantic mall so we decided to take a cab back to our hotel instead of braving the crowds at the train stations. According to my granduncle, it is important to agree on a price with the cab driver before boarding the cab as sometimes the meters can't be trusted. Our agreed price was RM15, which we thought was quite reasonable. 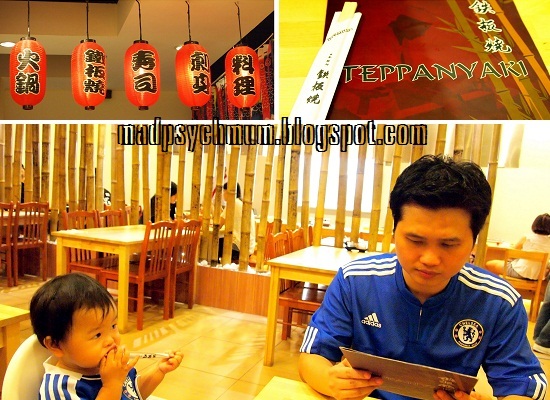 Although our bodies were dead tired, we managed to drag ourselves to Berjaya Times Square mall for Teppanyaki dinner. We finally ended the night with me perusing the pages of Cleo Malaysia (cost me only RM5.80), reading to baby girl the books I had bought at MPH and Borders for between RM9-RM20 each while the hubby enjoyed his favourite soccer matches without being disturbed.